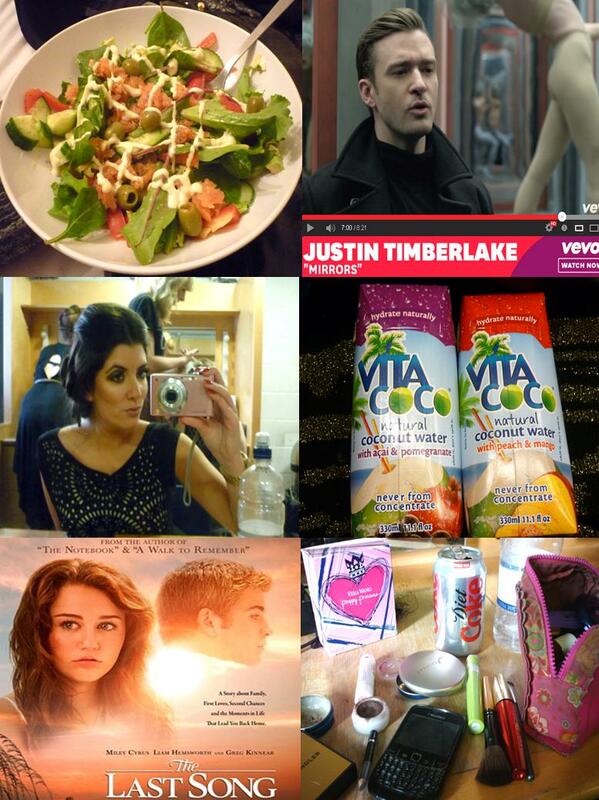 Salmon salad made by moi ;), Mirrors by Justin Timberlake - I'm addicted to thing song, me getting my hair done at the Hair Awards by the seanhanna hair team, my addiction to coconut water, I watched The Last Song on Sunday night, and finally - my messy dresser! I love the last song....miley cyrus looked much better with long hair!! I like Justin's new song too! So cool!I like your blog, what about following each other? I'm really trying to LIKE coconut water, I think it's because I tried the plain one when it first came out in the US and hated it, are the fruity ones better? Hahaa when I first bought it I hated it but the fruit ones are really nice! is not so outrageous, since I always go. But I hope it's nice - it'll be Easter soon!